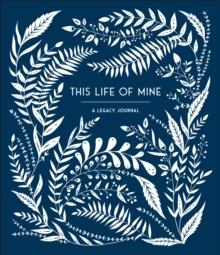 Share your life's stories and memories in this thoughtful and easy-to-use keepsake journal. This is a lovely gift to give to a cherished family member, friend, or even to yourself. This guided journal will inspire people to record the unique details and stories of their lives, both for themselves and for those they will one day leave behind. It includes a mix of fill-in-the-blanks, short answer questions, list-making prompts, and ideas for simple sketches or photos which are all designed to create a nuanced portrait of a person's life through reflections, memories, and stories. This gorgeously crafted journal features the whimsical work of papercut artist Sarah Trumbauer throughout.